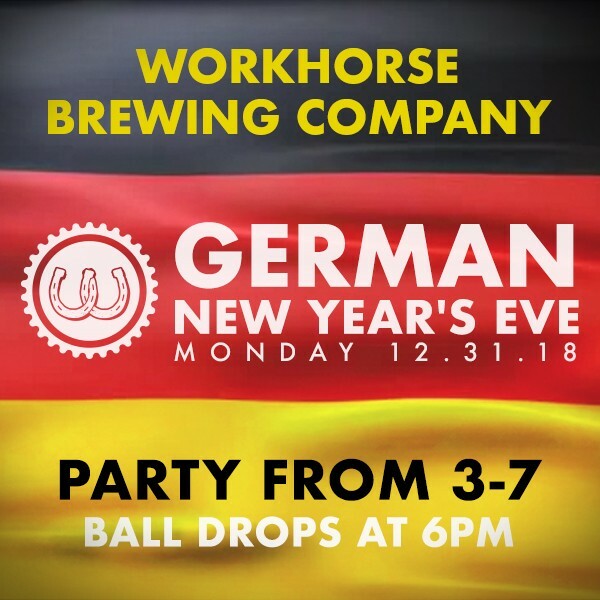 Celebrate New Year's Eve at the brand new Workhorse Brewing in King of Prussia! We are doing a different take on New Year's Eve this year - celebrate early with a 6pm ball drop (midnight in Germany - they are six hours ahead of us!) with one awesome party offering. Gather your friends & family - it's going to be a great time! LIVE Music, games and more! Kids are free, bring the family!! Must be 21+ to drink alcohol. Soft Drinks included for under 21. All purchases are final.